Hi everyone!! I'm sooooo excited about today's release. 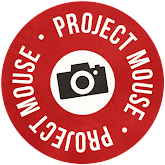 It's something Krista Sahlin and I have been throwing around in our Project Mouse conversations for a long time, and now its finally a reality. I'd like to introduce . . . If you've been to Disney at night you know exactly what I'm talking about. The chills, the excitement, the lights, the sparkle, the goosebumps. It's a thrilling time to be in the Happiest Place on Earth. I LOVE it there after the sun goes down. There's nothing quite like it. 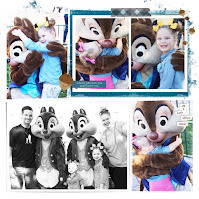 Krista and I knew that we had to create a special "nighttime" collection for Project Mouse for all the treasured memories that happen after dark. So let's get to the goodies! 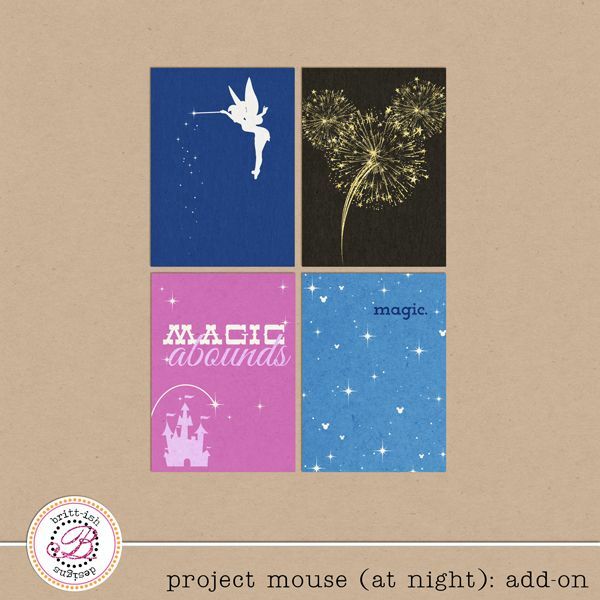 "Project Mouse (At Night): Cards"
"Project Mouse (At Night): Elements"
"Project Mouse (At Night): Papers"
All of the individual products are 20% off through Sunday (8/22/13). But you can buy it all in the bundle for just 12.99, which is a 31% savings! OH! And, I have a FREEBIE toward the end of today's post too, so make sure you read all the way down to get it!! 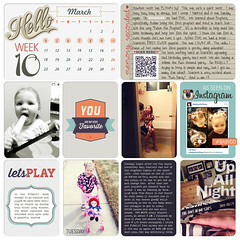 I think its so fun seeing Krista's paper pocket album pages! She prints her cards and puts her pages together for REAL. So cool!! And last but not least, I do have a Show Off Slideshow to share today!!! It's been a LONNNNNG time, I know. I'm going to get on a new Show Off schedule as soon as I make up my mind. Anyway - here's the slideshow. All of today's Show Offs will receive an exclusive gift that won't be in the shop. It's just for the lucky Show Offs. I hope you all like it (watch your email inbox)!! If you'd like to learn more about Showing Off - read THIS. Have a super magical weekend. And happy scrapping. So cute! By the way, Sunday is September 22nd, not August. Какой чудесный -сказочный набор!!! Из него получились шикарные странички!!! Большое спасибо за подарок! I just found you through a Pinterest link for some of your older goodies. We just got our annual passes to Disneyland and I am so excited to use your Project Life cards, woo hoo. I noticed that the older freebies have been removed, can we find them in one of the purchase downloads? My princess silhouette card freebie pack is active again. Find them at the end of this blog post: http://brittishdesigns.blogspot.com/2013/04/project-mouse-princess-edition.html The character silhouettes are active again too if you want them here: http://brittishdesigns.blogspot.com/2013/03/project-mouse-character-moments.html & here: http://brittishdesigns.blogspot.com/2013/02/welcome-to-project-mouse.html) Enjoy. Thank you, thank you. I am obessed with your project life cards. I have bought 3 or 4 sets this last week. I keep checking every day to see if you have made anything new. 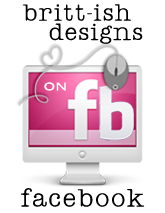 Sign up to receive the all-new Britt-ish Designs Newsletter! Receive my blog in your email inbox whenever I update! Disclaimer!! Feedburner does not email you immediately once I've posted. So, its not the quickest way to read new blog posts! But it is the most convenient!